Funtober has the best information list of Halloween haunted houses in Kentucky. We list the top haunted attractions including haunted houses, haunted trails, scream parks, and haunted corn mazes. Plan an evening out with your friends around Halloween 2018 at one of these scary venues. I love full entertainment parks and Asylum Haunted Scream Park fits right in as a 40 acre haunt with 5 attractions and great entertainment. The Carnival of Lost Souls midway has a fire eater, fortune teller, games, food, and live entertainment. The other haunt attractions are Darkness Falls on Asylum, Zombie City Doomsday, and Xterminite Zombie Attack. Darkness Falls features a tunnel and slide ride. Zombie City has what else but zombies. Xterminite is a 9000 square foot doom for hunting zombies. Zombie Hunter is a paintball training facility. Tickets available for an all access pass. All tickets get you into the Carnivale of Lost Souls for games, and sideshow performances. Buy online in advance as they often sell out. Asylum is open every Friday and Saturday from September 14th through November 4th. The times are 8 pm to 2 am. Opening night is September 21st. This is an unusual haunt adventure. Danger Run® is the most unique Halloween attraction in the world, found only in Louisville, Kentucky. Locally owned and operated for over 20 years, the Danger Run® is an exhilarating scavenger-hunt-style game played in the car. You and your friends will solve rhyming clues to reveal the directions to TWO of Louisville’s BEST haunted houses. Admission to both is included with Danger Run®. Those that solve the clues most accurately will make it to the Danger Run® Finals and compete for HUGE PRIZES! Danger Run Tickets are $25 online which gets you free food, free gas, vampire fangs, and the two attraction tickets. Starting points are Lowe’s at 501 S. Hurstbourne Pkwy, Louisville, KY; Lowe’s at 6651 Dixie Hwy, Louisville, KY; and Lowe’s at 1350 Veterans Pkwy, Clarksville, IN. Fallsburg Fearplex opens their haunted house on September 22nd this year. Carnivals, killings, and clowns are all on the menu. Tickets are just $22. They run every Friday and Saturday night. Check their webpage for more details. Lots of updates and improvements made to attraction for 2018. With 63,000 Facebook likes this is a very popular attraction. Fright Nights has 3 haunted attractions named Dark Forest, Zombie Mayhem, and 13 Doors. Zombie Mayhem is 15 minutes of hell in the forest. Dark Forest has scenes at Butchers Oven, The Morgue, Torture Chamber, and many sadistic freaks. Doors open at 8 pm. Fright Nights runs every Thursday, Friday, Saturday, and Sunday nights beginning late September. Doors close at 11:30 pm on Friday and Saturday or 10 pm on other nights. Back again for 2018 is the scary Haunted Hospital attraction. It runs Friday and Saturday nights starting September 28th. Gates are open from 7 pm until midnight. Tickets available and your bed is waiting. Not only a seasonal Halloween haunt but some say it has real spirits and ghosts. An annual haunted house for charity and to support the local food bank. Enjoy! Opening night is September 14th. There is no mercy at the Hill of Terror haunted attraction. It is open Friday and Saturday nights through Halloween. Tickets are $25. They start at dark and run until midnight. Now in the 8th year they have added food concessions. They are approximately 70 miles south of Louisville. Turn Right on N Dixie Highway (US 31W) then Left on Priceville Rd (KY 728). Returning September 28th for 2018. Attraction usually runs on Friday and Saturday nights. Doors are open from 8 pm until 12:30 am. All new attractions with complete rebuild for 2018. New scares, new scenes, and new frights as you do the self guided tour of a 100 year old barn, woods, and fields. An extreme haunted attraction so expect them to put their hands on you. Opening night is September 28th. Open every Thursday, Friday, Saturday, and Sunday nights in October. Opens at 7:30 PM. Award winning 20,000 square foot corn maze and 8,000 glow area with frights. Check out their evil clown. Tickets are $15-20. Attraction has been open for over 25 years. This is near Junction City. Expect to be afraid and uncomfortable. Nightmare Forest has been terrifying folks around Louisville for 20 years. Both Nightmare Forest and Dead End Hotel are run by the same people. They feature four attractions for one low price at Nightmare. They have a separate attraction in Shepherdsville. Here you will find Freddy Kruger, Jason Vorhees, Leatherface, Evil Dead, and Dead Silence characters. Nightmare Forest is open every Friday and Saturday nights starting September 15th. Doors open at dusk and stay open until 2:00 am. The haunt attractions are Nightmare Forest, Nightmare Harvest, Trail of Terror, and Drive-In. Season opens on September 14th. Shandyland Acres has two haunt attractions plus Spooky’s Gift Shop, and Auntie Susie’s concession stand. Tickets are $14 for the Haunted Hayride and $10 for Farmers Revenge. A combo ticket for both is $23. Doors open at 8 pm and close at midnight. Parking is free. Open Friday and Saturday nights until Halloween. Attraction opens September 14th for the 2018 season. Doors are open 7:30 pm until midnight. Is there a werewolf or big foot in the area? The town was founded in 1870 and strange deaths have been happening for over 100 years. Once the town hunted all the wolves. Afterwards the evil or wolf hunted the town. Get the story and search for your own evil. Tickets for adults are $15. Believe what you will or don’t believe at all. I don’t ask you to but if by chance you find yourself in the woods around Eastview, Kentucky and you begin to hear leaves rustling, footsteps or the sound of growling beasts remember that there are no such things as werewolves, no such things as vampire, no such things as zombies and no such things as witches. They are just as imaginary as Big Foot and Aliens aren’t they; it’s just your imagination playing tricks on you right? None of the above named creatures exist, but just for safety our security guards are armed with silver bullets, holy water, crucifix’s, white candles, salt and a needle and thread. Enjoy your tour and we will pray for your survival at Sinister Tombs Haunted House. Opens for season on October 5th and runs every Friday and Saturday nights in October.. Ravencraft Haunted Sawmill hosts Skeleton’s Lair. Gates open at dark and close at midnight. Skeleton’s Lair features a Haunted Hayride, Haunted Woods, and 3D Zone for the ticket price of around $25. Doors open at dark. A combo ticket includes above plus the all new Doomsday Doll Factory for around $30. Talon Falls Screampark can be described as a carnival freakshow. The park opens at 6:30 pm. Tickets are individual for Talon Falls, Dead End Haunted House, Blood Creek Haunted Hayride, Laser Tag and Sinister Circus 3D. Get all 4 for the low price of a combo pass. Talon Falls Screampark opens September 21st. Doors open at 6:30 and close at 11 pm on Friday and Saturdays or 9 pm other nights. During daylight hours this 50 acre farm turns into Adventure Park with a corn maze, hayride, jumping pillow, pedal carts, lots of pumpkins and so much more. The Screampark is open Friday, Saturday, and Sunday nights in October. The Baxter Avenue Morgue is open for 2018 starting October 5th. It runs every Friday, Saturday, and Sunday nights in October. Tickets are $20. Be ready for scenes of death and dead bodies. The season starts on September 14th. Devils Attic tickets are $20. On Friday and Saturday Devils Attic is open from 8 pm to 12:30 am. All other nights they close at 11:00 pm. They are open every Friday and Saturday plus some Sundays until Halloween. Meet classic monsters of pure evil as your childhood fears come to life. Visit Field of Screams any Friday and Saturday night starting from September 14th. Tickets are $20 to go through the Haunted Barn and Haunted Forest from 7 pm to 1 am. There are lots of freaks and ghouls in this 6 acre haunted cornfield. Separately you can take the Hayride to Hell for another $15 or buy the combo ticket to all the attractions for $35. It takes about 1 hour to complete. Field of Screams is the most horrendous haunted house event in Kentuckiana. This Halloween adventure is open from September 14th through the end of October 27th and includes 5 hair-raising haunted houses along with live music entertainment. The Field of Screams, offers a creepy walk through a six-acre haunted cornfield maze, a horrendous two-story barn, the always absurd forest, the Hayride to Hell, and the newly added Scream Tag. On this challenging journey, you will encounter numerous creeps, freaks and ghouls. It generally takes our victims a little over an hour to complete their tour…that is, if they make it out alive! We start selling tickets at 7:00 pm and stop at 1:00 am. Customers are permitted to enter the Corn Field and Hayride to Hell at dark (approximately 9:00 pm). Sorry folks but this attraction will not open in 2018. Mayhem Mansion opens at 8 pm each Friday and at 7pm each Saturday night from September 21st. You will find lots of zombies but we suggest you do not drink the Bootleggers special brew. The two haunts are Hayrides. It takes about 30 minutes to go through each attraction. Also choose their new Terror in the Woods paintball attraction. Opens up on October 19th for two Friday and Saturday weekends. First hayride goes out at dusk around 8 pm. Tickets are $10. Attraction closes at 10:30 pm. Do not be left behind, ever. Take a wagon deep into the Kentucky back woods. Located at Whispering Woods Riding Stables. Halloween season starts September 21st. Board a real 288 foot long ship, the William S Mitchell, often known as the Death Dredge. This steamboat was built in 1933 Is it haunted? During its long history 112 crew members died aboard the ship. Now the USS Nightmare serves as a haunted house each fall. The 30 minute haunt tour takes about 30 minutes to traverse. Tickets cost $20 on Wednesday through Sunday. You will witness lots of chainsaws, evil illusions, and dozens of scary actors who may or may not ever let you leave the ship alive. Enjoy your visit aboard the Death Dredge. It is open from 7 pm to 1 am every Friday and Saturday night. It is open 7 pm until 11 pm every Wednesday, Thursday, and Sunday. Halloween haunt starts September 21st. More a real haunted house guided tour and paranormal investigation with a wonderful commercial type haunted house during Halloween season. The haunt attraction is open every Friday and Saturday night Doors open at 7:30 pm and close at 11 am. Check out their website for complete details. Parking is $5 per car good towards souvenir purchase. If you are an amateur ghost hunter then this place is for you. This is one of the largest and most popular haunted attractions in the United States. It has over 219000 Facebook likes. Opens for season on September 21st. The two haunted attractions are Nightmare Haunted House, Quarantine and Terror on Tates Creek. Tickets available for each attraction or a combo ticket for all. Doors open at 7:30 pm and stay open until 12:00 am on Friday and Saturday or 10:00 pm other nights. Located at Whitaker Bank Ballpark. They are open Friday through Sunday in September and Thursday through Sunday in October. Haunted house and hayrides in Western Kentucky. Opens 9/21/18 and runs Friday & Saturday through Halloween day. This is the biggest fundraiser of the year for the Wingfield Volunteer Fire Department. Started back in 2005 it has been getting stronger every year. Featured attraction is their two mile ride then the tour of the haunted house and then back to the community center. Open every Friday and Saturday nights in October. 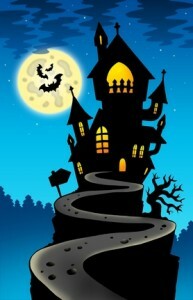 Home Haunts (New List of Home Haunted Houses for Halloween 2014). If you live in Northern Kentucky, you will also want to visit the Cincinnati haunted houses. Or, if you find yourself close to another state, you should give them a quick perusal to make sure you aren’t missing an awesome haunted attraction. Also consider attending one of the many Halloween conventions such as the National Haunters Convention held in May. Also you may find interesting the connection between the growth in Haunted Houses and the history of the horror movies made by Hollywood. Have you been to one of these haunted houses? Future readers would be interested in hearing what you thought. Did you have fun? Was it worth the money? Would you recommend it to others? Any suggestions to maximize the experience? I’ll gladly publish what you send me and give you a great big hug. I believe this is a running haunted house in Greensburg, KY. The site says open starting October 1st, but does not indicate if it is a current(2014) listing. Price $10.00. USS Nightmare is a really good haunt that I love to go to. What is more realistic than a real steam boat. This steam boat isn’t you’re average steam boat eather, this than is huge. Just getting a look from the outside of this boat is freaky enough to give you the willy’s as you walk on to the old deck. This is a must see if you haven’t been there yet.